Green Pond is located about two miles east of Falmouth Inner Harbor on the South Shore of Cape Cod across Vineyard Haven from Martha's Vineyard. 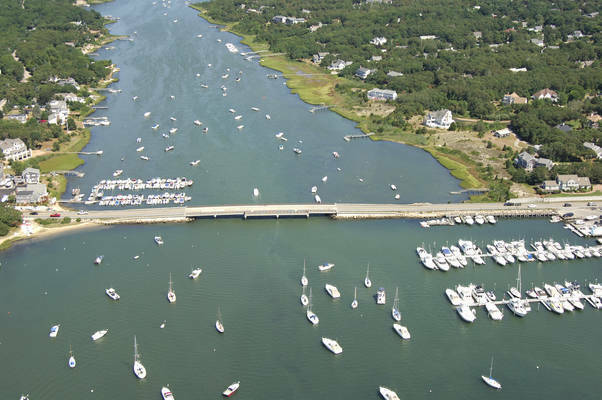 There are two distinct regions in Green Pond: In the lower region where the pond empties into Vineyard Sound, there is room, depth and overhead clearance for most vessels, including fairly tall sailboats. 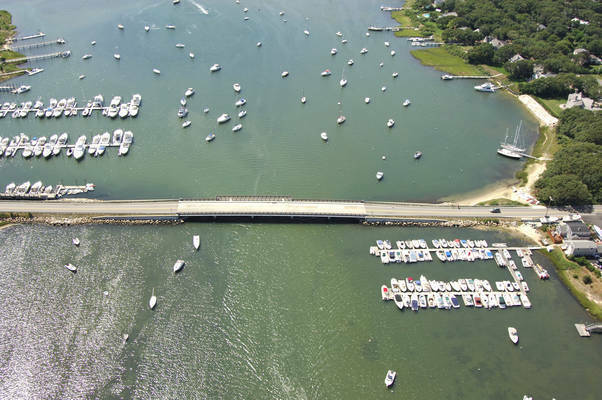 Abouth one-half mile north of the inlet, a six-foot closed vertical clearance bridge crosses the pond, limiting upstream travel to only the smallest power boats. That said, there are facilities below and above the bridge that cater to the types of vessels that can exist at either location, based on the bridge height. In the pond itself, there is a large mooring field, which is very popular with cruiser because of the protection that Green Pond give from most directions. Depths below the bridge average six feet, and shallow by about two feet above the bridge. Green Pond is reached from Vineyard Sound. From Vineyard Sound, set a course for flashing red buoy "2" at the mouth of the Green Pond Inlet. From here, you will move north to pass between the breakwaters. The western breakwall is marked by flashing green "3." Inside the breakwaters, the depths range from six to eight feet. 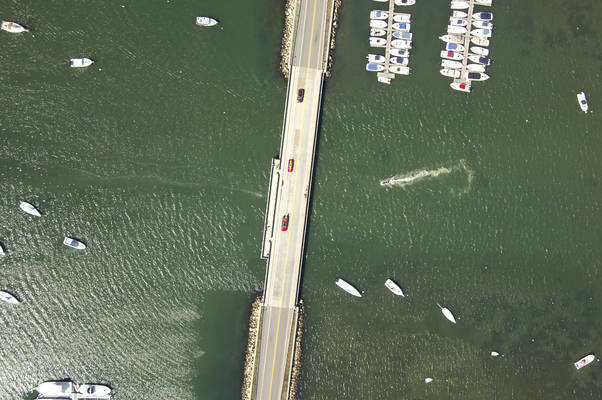 Inside the harbor you will find six-foot depths that shallow to four-foot depths above the 6-foot fixed vertical clearance bridge. 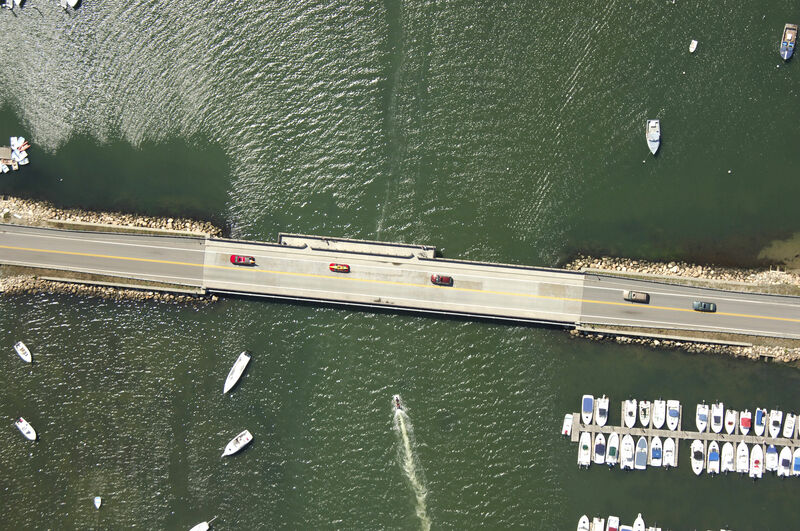 There is a marina to starboard on entry, and a marina to port above the bridge. 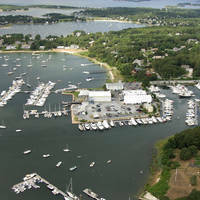 Locally administered moorings are visible as soon as you enter the harbor. No reviews yet! Be the first to write a review of Upper Green Pond Inlet.